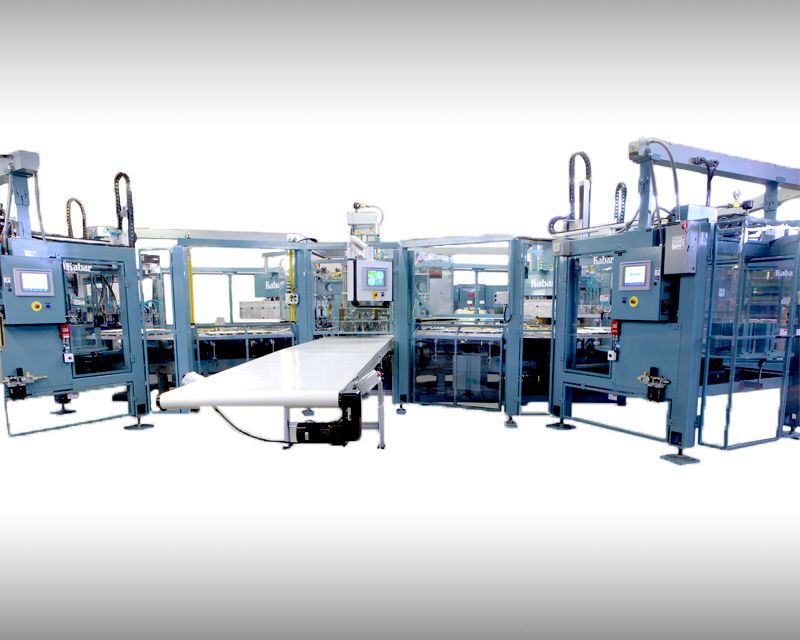 In order to help our customers meet the challenges and demands they face in today’s fast pace world, we design and produce a wide array of sophisticated automated solutions. 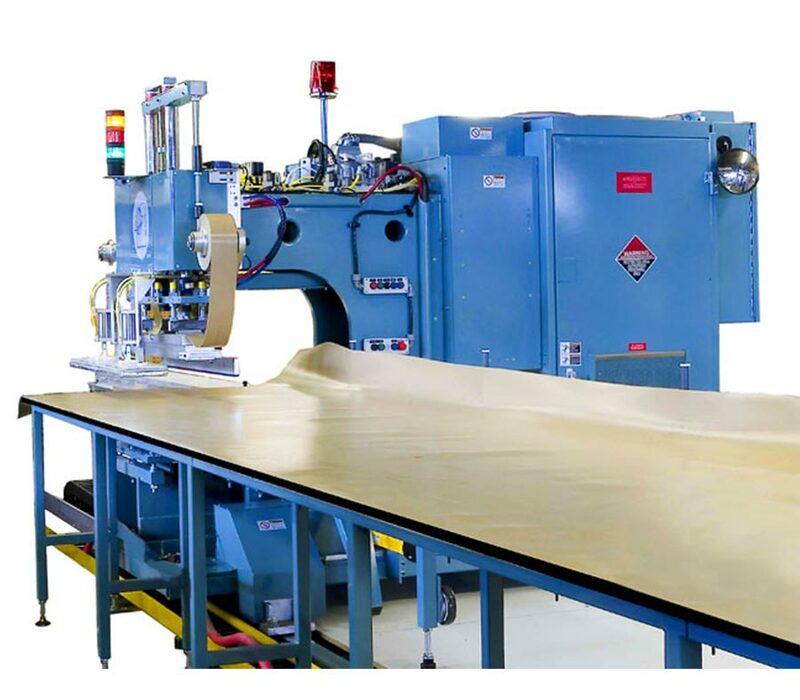 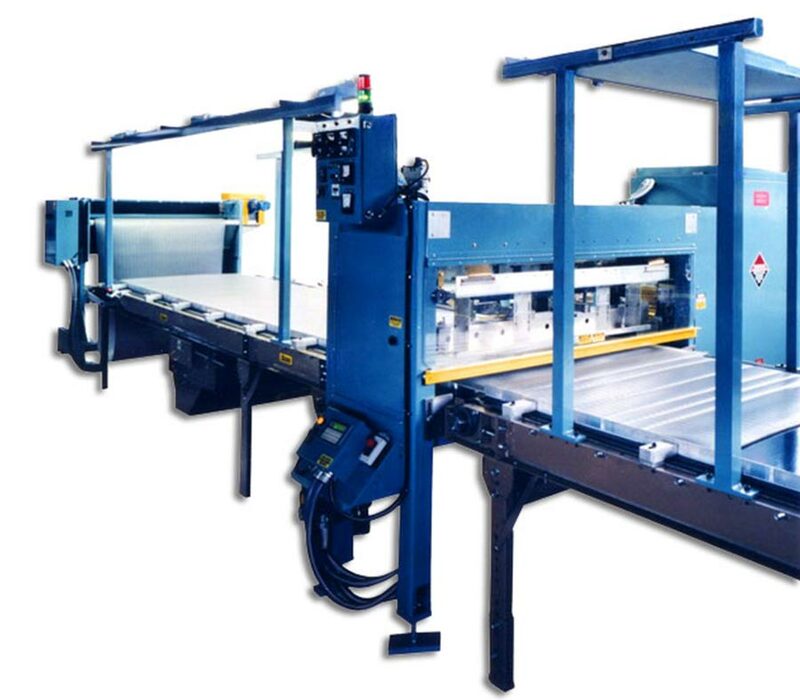 Our RF Sealers are specifically designed to allow our customers to meet their goals and objectives by increasing the volume of repetitive production, and at the same, time reducing the costs of material handling. 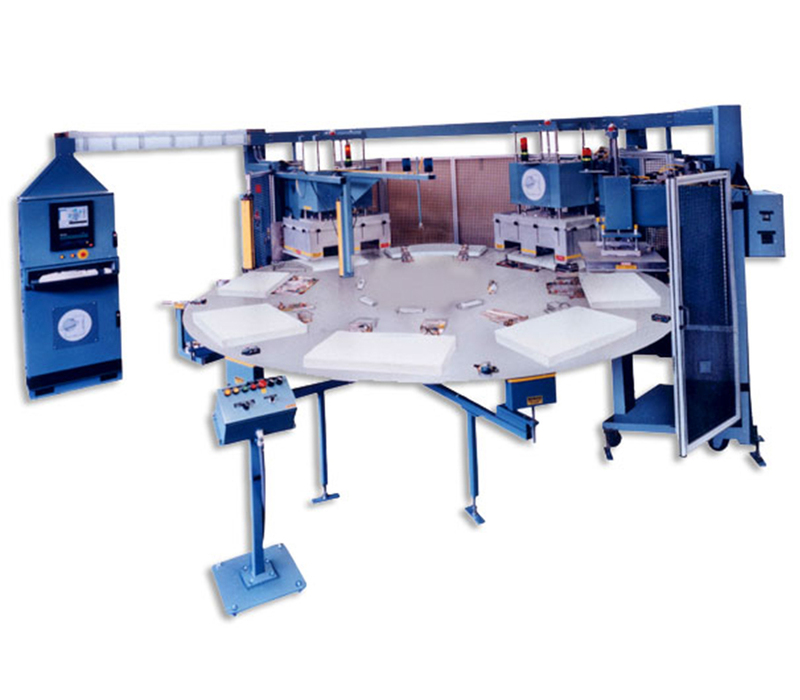 Multi-function in-line indexers and multi-station turntable systems are easily configured to meet unique production requirements. 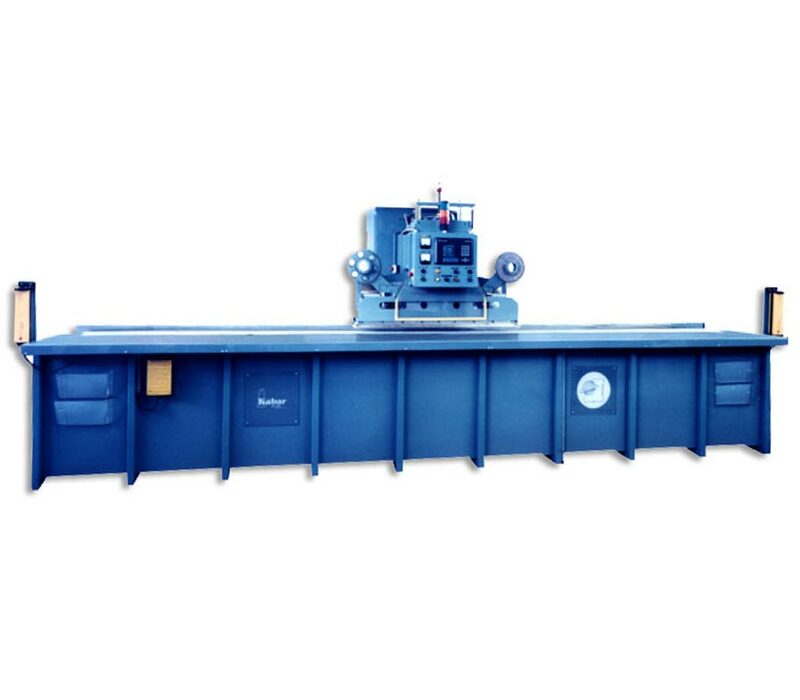 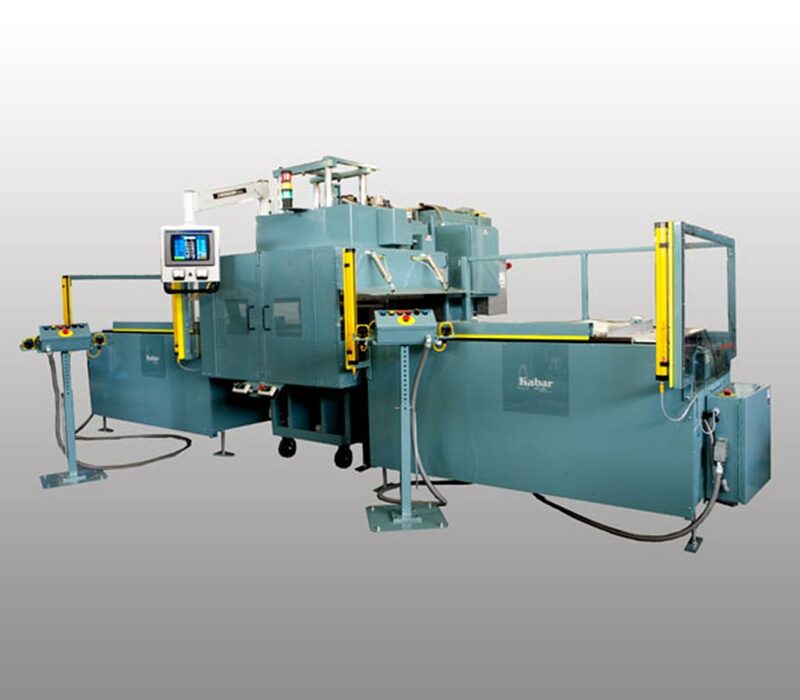 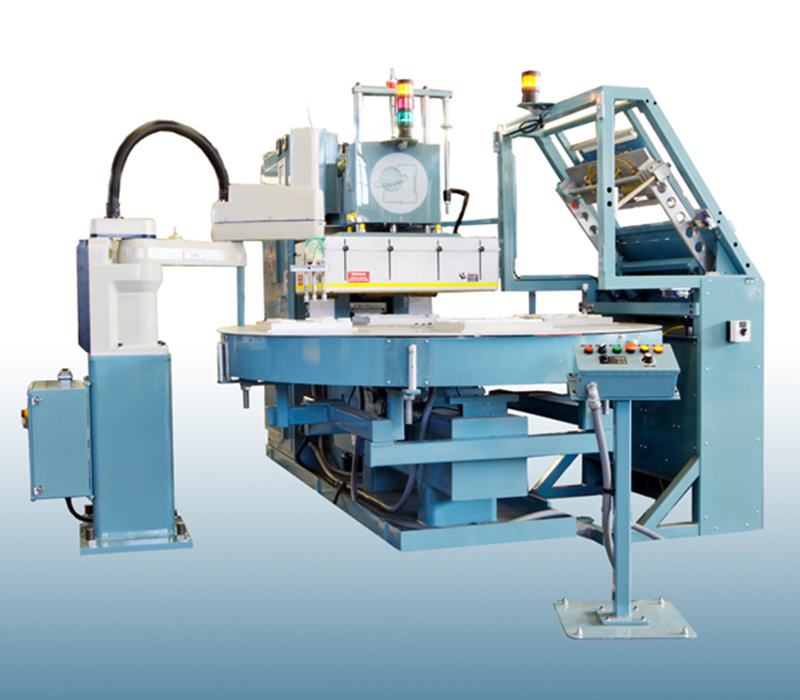 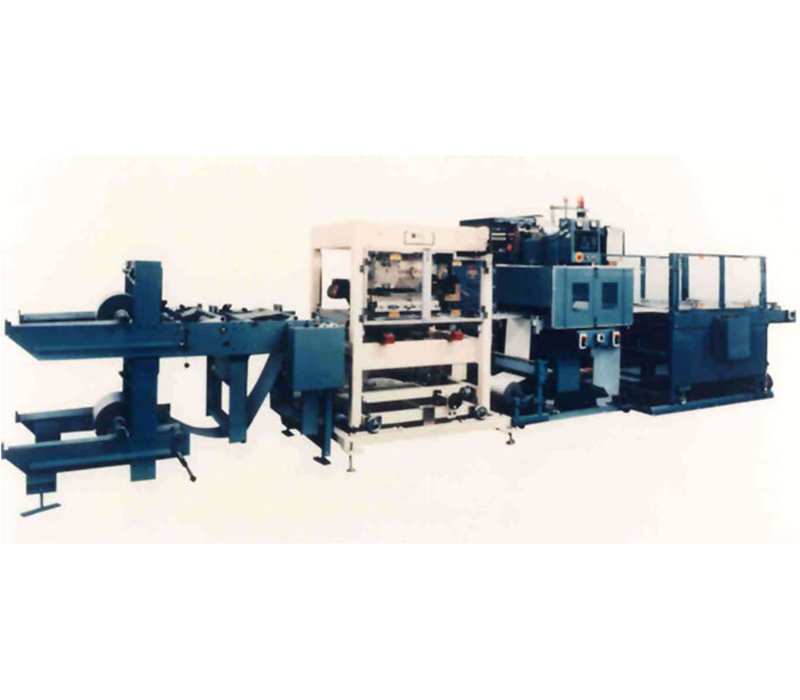 Some examples of automation components that we supply are: sheet feeders, blister feeders, pick and place loading and unloading, vibratory bowl feeding, parts rejection systems, in-line slitting and cut to length systems, in-line hot stamping, cut to length sheet feeder systems, automatic stripping and collating lines and automated parts removal stations. 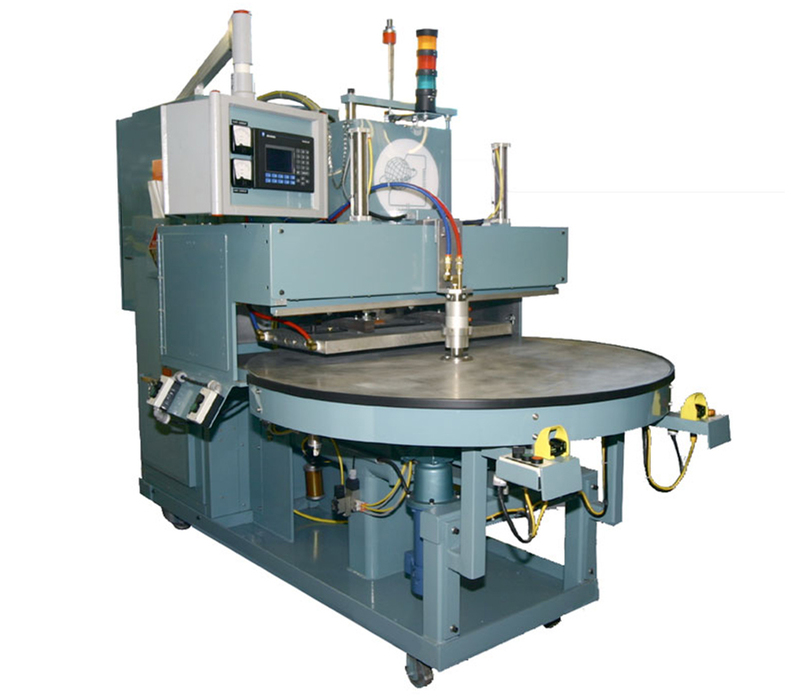 Our automated Radio Frequency Sealer systems, (like many of our other machines,) are designed and built in-house so we have complete control and flexibility of our manufacturing process. 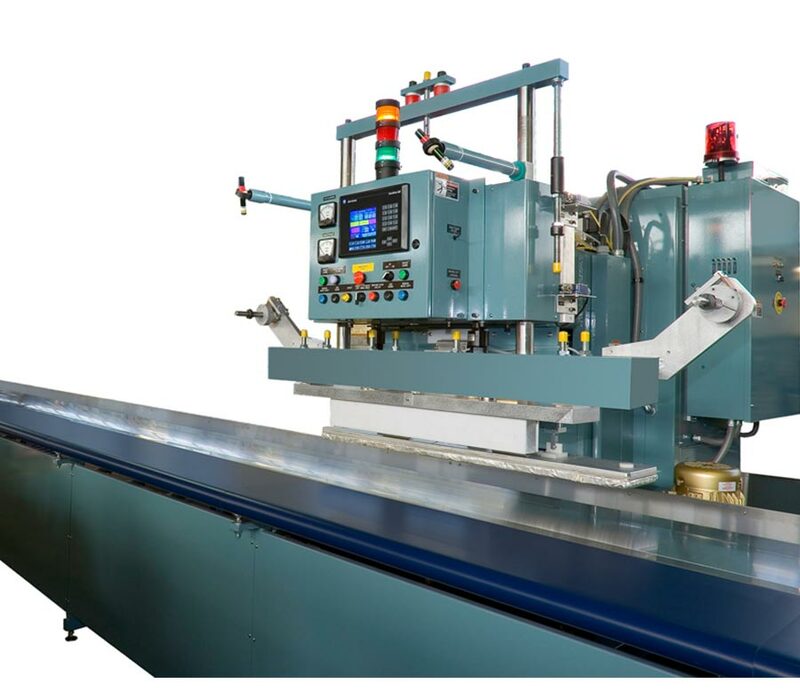 Our support frames for all platforms are all manufactured in-house from welded tubular steel, to ensure that the equipment can perform in the most rigid manufacturing environments. 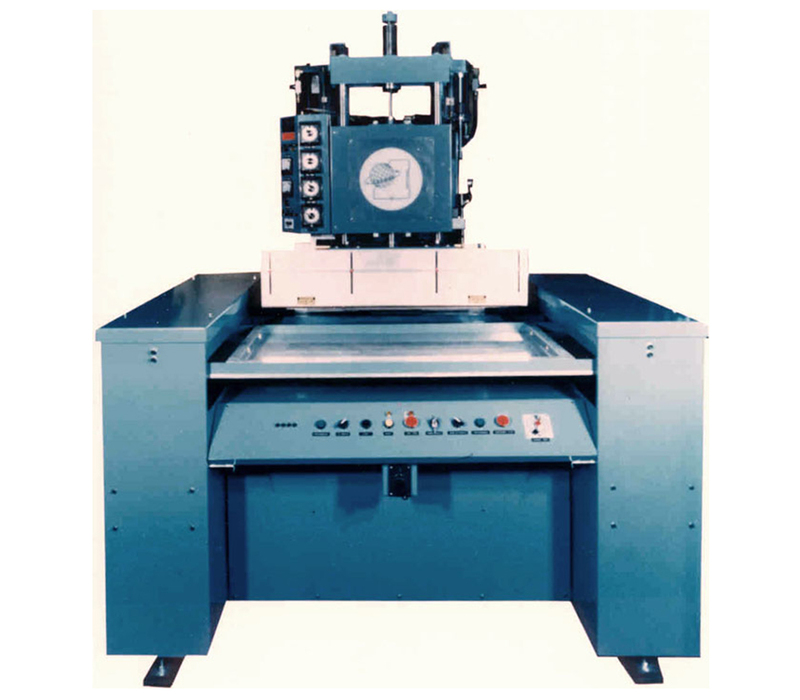 All milling and machining of the components which are used are performed on in-house CNC equipment and conform to the highest tolerances. 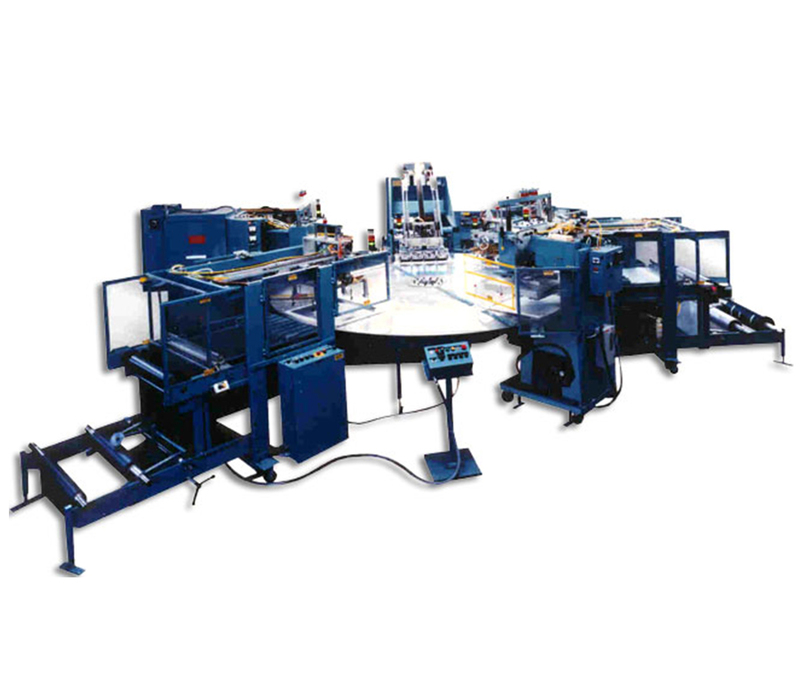 PLC Controlled 144″ Turntable System with Automatic Roll Fed Sheet Feeding, Cutting Station, Multiple RF Sealing Stations and Material Stripper with Pick and Place Removal.